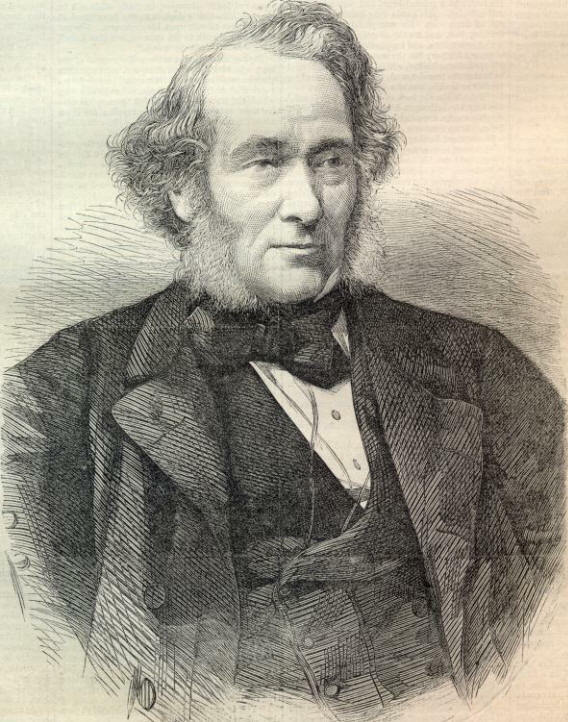 We celebrate our 125th Annual Henry George Commemorative Dinner this September and with that in mind, we continue unveiling our rich historical tradition of land reformers in the Geoists in History series with Richard Cobden. This English politician and economist was the leader of the free-trade movement, as well as strenuously and unceasingly working for the cause of international peace. However, it is not widely known that – after penetrating the workings of free and fair trade – he realised how limited would be such reforms without returning to all people their most important birthright – equal access to land. He saw that no ultimate benefit would ensue to the mass of the people by the abolition of all taxes on food without geoist reforms. Thus, in the last year of his life, and in the last speech which he made, he regretted his age and failing physical energies, since he was now debarred from entering on an agitation for the abolition of those customs and privileges which made land the monopoly of the rich, and condemned the English peasantry to hopeless labour. The son of a farmer, Cobden was born with 10 siblings in West Sussex with poverty forcing him to live with an uncle who trained him to be a clerk in his London warehouse. He was constitutionally endowed with an alert and restless intelligence, and in the hardest days of his youth he did what he could to educate himself. He became a traveling salesman and became so successful that in 1831 that he went out on his own and took over the calico printing company in Manchester, the modest profits from which allowed him to devote full time to the cause of free trade and the fight for limited government, social justice, and freedom. He soon took up the leadership of Manchester’s campaign against the Corn Laws, which he saw as the outstanding bastion of aristocratic self-interest within the British state. The Corn Laws were protectionist tariffs which restricted the free flow of corn, wheat, barley, and oats between Great Britain and foreign countries to shield the British farmer from competition. This campaign consumed Cobden’s energies between 1839 and the eventual repeal of the Corn Laws in 1846, due in no small part to his unequalled skills as an orator and his reputation for impeccable honesty. After repeal, he played a leading part in the international peace congresses, 1848-53, campaigned against loans for standing armaments, and urged the British government to adopt compulsory arbitration in international disputes. Cobden also unsuccessfully took up a series of domestic reforms, especially for secular education (which he had admired in the United States), and financial reform. On his return from extensive travels, having been re-elected to Parliament for Rochdale, he declined to join Palmerston’s cabinet. Even so in late 1859, the danger of panic-fed war between England and France encouraged him to take up, on Palmerston’s behalf, negotiations which led to the Anglo-French [Cobden-Chevalier] commercial treaty of 1860. This involved lengthy detailed diplomacy in Paris and a good working relationship with the Emperor Napoleon III. It stimulated a series of commercial treaties binding Europe into the nearest it got to a common market before the late twentieth century. If commerce was for Cobden the best way to peace, he also continued to urge arbitration treaties and the reform of international, especially maritime law. His legacy is enormous and remains so to this day. For 85 years free trade reigned as England’s national policy, influencing the commercial principles of every major country in the world. His internationalism inspired a generation of liberal and socialist statesman and thinkers, such as Gladstone and J. A. Hobson in Britain and Bernstein in Germany. If only the great man had “seen the cat” at an earlier age, perhaps we’d be living on an entirely different planet!